The departures reflect poor morale and a sense of grievance at the agency, which has been criticized by Trump and top Republicans in Congress as bloated and guilty of regulatory overreach. That unease is likely to deepen following revelations that Republican campaign operatives were using the Freedom of Information Act to request copies of emails from EPA officials suspected of opposing Trump and his agenda. The cuts deepen a downward trend at the agency that began under the Obama administration in response to Republican-led budget constraints that left the agency with about 15,000 employees at the end of his term. The reductions have accelerated under Trump, who campaigned on a promise to dramatically scale back the EPA, leaving only what he called “little tidbits” in place. Current and former employees say unlike during the Obama years, the agency has no plans to replace workers, and they expect deeper cuts to come. ProPublica and The New York Times analyzed the comings and goings from the EPA through the end of September, the latest data that has been compiled, obtained under the Freedom of Information Act. The figures and interviews with current and former EPA officials show the administration is well on its way to achieving its goal of cutting 3,200 positions from the EPA, about 20 percent of the agency’s work force. Within the agency, science in particular is taking a hard hit. More than 27 percent of those who left this year were scientists, including 34 biologists and microbiologists; 19 chemists; 81 environmental engineers and environmental scientists; and more than a dozen toxicologists, life scientists and geologists. Employees say the exodus has left the agency depleted of decades of knowledge about protecting the nation’s air and water. 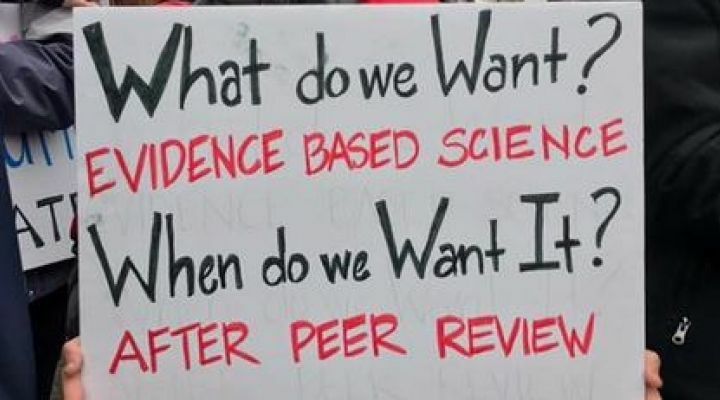 Many also said they saw the departures as part of a more worrisome trend of muting government scientists, cutting research budgets and making it more difficult for academic scientists to serve on advisory boards. In addition to losing scientists themselves, the offices at the EPA that deal most directly with science were drained of other workers this year. The Office of Research and Development — which has three national laboratories and four national centers with expertise on science and technology issues — lost 69 people, while hiring three. At the Office of Chemical Safety and Pollution Prevention, responsible for regulating toxic chemicals and pesticides, 54 people left and seven were hired. And in the office that ensures safe drinking water, one person was hired, while 26 departed. The impact of losing so many scientists may not be felt for months or years. But science permeates every part of the agency’s work, from assessing the health risks of chemical explosions like the one in Houston during Hurricane Harvey to determining when groundwater is safe to drink after a spill. Several employees said they feared the departures with few replacements in sight would put critical duties like responding to disasters and testing water for toxic chemicals in jeopardy. As of Dec. 6, there were 14,188 full-time employees at the EPA By comparison, there were 17,558 workers at the end of the first year of the George W. Bush administration and 17,049 by the end of the first year of President Obama’s term. The EPA offered two major buyouts during the Obama administration, losing 900 employees in 2013 and an additional 465 the following year. Hundreds of other workers left through attrition and were not replaced. Ronnie Levin spent 37 years at the EPA researching policies to address lead exposure from paint, gasoline and drinking water, most recently working as a lead inspector at the agency’s regional office overseeing New England. She retired in November after what she described as months of low morale at the agency. And with the lead enforcement office targeted for elimination as part of Trump’s proposed budget, she said, “It was hard to get your enthusiasm up” for the job. Marina Affo is an editorial assistant at ProPublica. Derek Kravitz is the research editor at ProPublica and covers the Trump administration.